Zara turned out to be my lifesaver once again, since a transparent clutch used to be right on the top of my wishlist! And speaking of my lifesavers, my bf once again turned out to be the best boyfriend in the whole world, since he was the one to pick it up and he really surprised me big time, leaving this baby in front of my door! The only bad side of this cute little clutch would be the fact that now, I have to be super cautious when I'm deciding what things to bring with me, since the bag is transparent and I can't really throw anything in it like I would normally do! Love these photos and your sweater is so pretty. Love your clutch too. Really perfect outfit! I'm loving those lovely transparent clutches, but I'm more a bag person.. 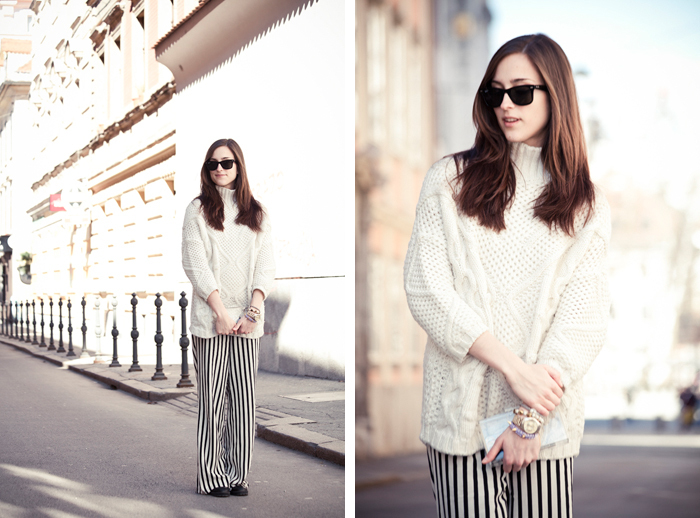 Still looking for the perfect transparent bag..
i love the oversize knit with these pants, so fresh! What a great look! 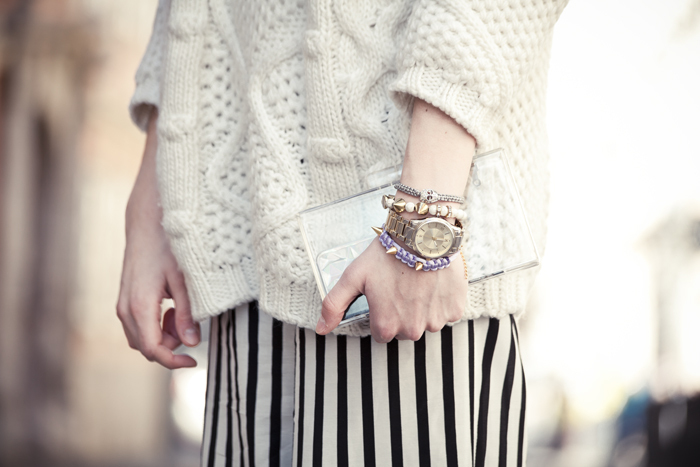 Such a graphic and bold look, love the stripes, the sweater, and the clear clutch. Imamo istu torbicu :)))) predivne pantalone! LOve this over sized look! The clutch is perfect with it! I like very much how comfy and yet chic this look is!